Grew Up... as the beloved daughter of scientists Eliza and Jeremiah Danvers. But their happy little family was shaken up when they adopted Kara Zor-El, a 12-year-old alien with superpowers. Though initially jealous of Kara’s abilities, Alex eventually became a loving and protective older sister. 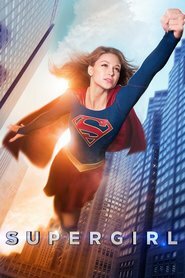 Living... in National City, where Kara has recently come out as superhero named Supergirl. Profession... bio-engineer for the Department Of Extra-Normal Operations (DEO). The covert government organization deals with dangerous alien threats and Alex is one of their highest-ranking agents. In addition to putting her scientific mind to work at headquarters, Alex also regularly heads out into the field on dangerous missions. Interests... nerdy TV shows, take-out food, and hanging with her sister. Challenge... looking out for her sister. While Alex is loyal to the DEO, her allegiance to Kara always comes first. As she explains it, “I will always be your big sister. That doesn't just suddenly change because last week you decided to fight criminals.” Initially nervous about Kara’s decision to come out as Supergirl, Alex quickly realizes how much good her sister can do and invites her to work with the DEO to take on alien threats. But she also recognizes that while her sister has strength. She has little technique, and so Alex sets about training Kara in the ways of combat. Personality... brilliant, dedicated, and cutthroat. Though she can goof off with Kara, Alex is more serious than her adoptive sister. She’s not afraid to make tough choices and to strike decisive blows when necessary. She believes: “To win a war, sometimes the enemy has to die.” However, whenever possible Alex would rather attack a problem with her mind than with brute force. Alex Danvers's popularity ranking on CharacTour is #819 out of 5,000+ characters. See our top-ranked characters and read their profiles.